On 10 July 2017, a PCA Arbitral Tribunal seated in The Hague rendered its award on compensation in another politically sensitive arbitration between Russia and the Netherlands (also known as the “Arctic Sunrise Arbitration”). 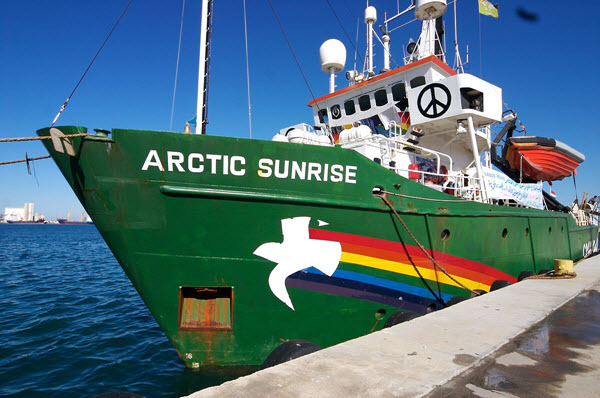 The PCA Tribunal ordered Russia to pay €5.4 million in damages to the Netherlands for the capture and detention of a Greenpeace ship named the Arctic Sunrise. In September 2013, a group of Greenpeace Activists were using the Dutch vessel to protest against Gazprom offshore drilling platform in the Barent Sea. The main issue was, however, that the Sea lies within Russia’s exclusive economic zone but outside of its territorial waters. Russia immediately seized the vessel and brought it to the city of Murmansk, which is a large northern port at the end of a deep bay of the Barents Sea. The ship was detained and released only in August 2013, almost one year after the incident. The crew counted 30 people (also known as the “Arctic 30”) who were arrested and charged with criminal offences, being released on bail only after two months. 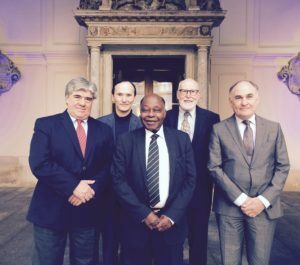 The five-member Arbitral Tribunal was composed of Thomas Mensah (UK/Ghana) (President); Henry Burmester (Australia); Alfred Soons (the Netherlands); Janusz Symonides (Poland) and Alberto Székely (Mexico). The Tribunal issued an anonymous award on merits almost two years ago, on 14 August 2015. The Tribunal had held Russia liable under the UNCLOS Convention for boarding and seizing the Dutch vessel Arctic Sunrise and arresting around 30 members of its crew. More precisely, the Tribunal ruled that by boarding, investigating, inspecting, arresting, detaining, and seizing a vessel flying the Dutch flag, without the prior consent of the Netherlands, and by arresting, detaining, and initiating judicial proceedings against the thirty persons on board that vessel, Russia was in breach of the UNCLOS Convention. Interestingly, the Tribunal also found that Russia breached the Convention by failing to comply with the order prescribing provisional measures issued by the International Tribunal for the Law of the Sea and by failing to pay the deposits requested by the Tribunal in the proceedings. (v) EUR 625,000 as reimbursement of Russia’s share of the deposits paid by the Netherlands in the proceedings. For more information see PCA press release dated 18 July 2017 available here. Both Awards are available on the PCA website and may be accessed here. “The Russian Federation has not participated in that proceeding and it still believes that the formed arbitration tribunal has no jurisdiction in this case…[A]fter a copy of the arbitration judgment is formally received, the Russian side will study it in detail. Yet it is already possible to conclude that this judgment does not fully take into account all the aspects of the incident involving Greenpeace activities, as well as the legal norms and court practice related to this case“. This award comes on the heels of another politically-sensitive PCA award in the Slovenia v. Croatia border dispute, on which we have previously reported here. Taking into account that this case involves Russia and claims for damages, the enforcement of the award in the Arctic Sunrise arbitration will not be an easy task for its lawyers.